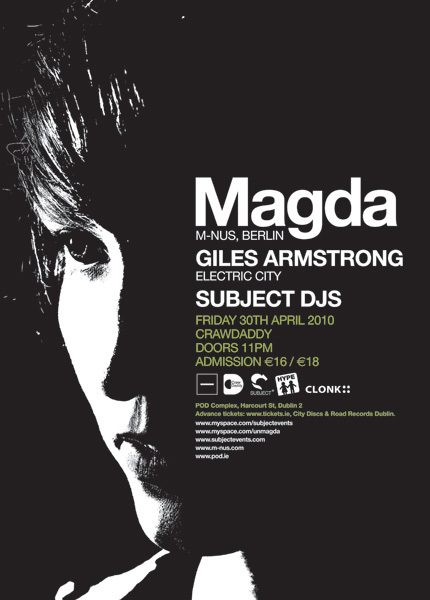 Simple poster for Magda from Berlin being put on by Subject. No sooner had this been the first draft been sent off when it showed up on her myspace page. I'd consider that a thumbs up.